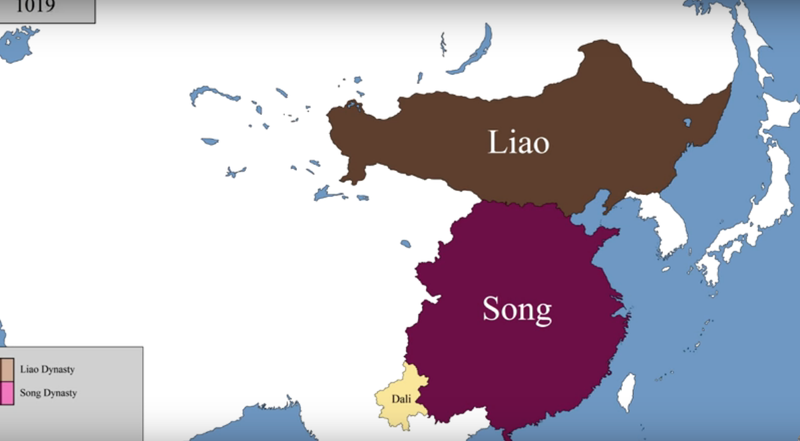 Eight videos to track how China’s borders and states changed during the medieval period. Ollie Bye‘s video takes a look at the early dynasties of China, up to the year 589 CE, when China was reunified under Sui rule. Edgar Cheng has created several videos tracking individual dynasties, including the Sui Dynasty from 581 to 618. Followed by the borders of the Tang Dynasty from 618 to 907. Then the period of Five Dynasties and Ten Kingdoms from 907 to 979. The Song Dynasty from 960 to 1279. Danzig HD Mapper created this map of the Yuan Dynasty (1271-1368) and the Northern Yuan Dynasty 1368-1635. Finally, Edgar Cheng returns to offer the video of the borders of the Ming Dynasty from 1368 to 1644.